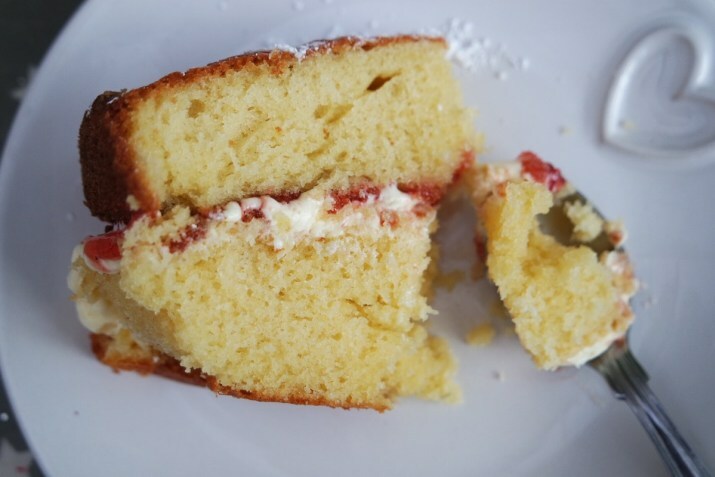 I absolutely love victoria sponge cakes: they are quick and easy to make and taste delicious with a cup of tea. The sponge mix in this recipe is so light and fluffy, it is perfect and if you are in a hurry – don’t worry! This took me an hour to make, I left it to cool for half an hour and then added the filling. I used a brilliant product to get this cake done quickly, Tesco do the Betty Crocker ready made icing and buttercream, so when I saw the vanilla buttercream style icing, I couldn’t resist making a wonderful cake to have with it.